Given our current squad, do you believe that the 4-3-3 maximizes on the available potential or would you like to see something else as there are many options to set up a team. This entry was posted on Thursday, June 2nd, 2016 at 9:27 am and is filed under Uncategorized. You can follow any responses to this entry through the RSS 2.0 feed. You can leave a response, or trackback from your own site. Wenger said we needed three players, one per line. Let us see who he will get for the back and for the front lines. I would love to see us revert to Herbert Chapman’s WM formation but somehow I cannot see us being able to do so with the players we have in the squad. Could you please explain what s that formation? Us old scrotes used to play this formation when we were at school. I think it was Chapman who suggested the centre half dropped back in line with the full backs and for the left and right forwards to also drop back more into midfield. Thank you for the post, btw. Sometimes I’m not even sure what formation we play at the moment. When Rambo and Mesut decide to join FP plus the two wide players, I’d swear we sometimes play 5 up front. Shouldn’t we have one formation for defending and another for attacking. Personally I quite like the diamond with the full backs taking it in turns to push on. I also never quite understood why 4-4-2 got phased out because the midfield got overrun by the midfield three of 4-3-3. Surely 4 is more than 3: unless, of course, the wider two in the middle 4 abdicate their responsibilities and push up with the front two. I quite like compact, but I also like using the full width of the pitch. I suppose width when attacking and compactness to retain your shape when defending. I also suppose that that is the reason the ‘breakdown’ or transition between the two is when you are at your most vulnerable. Bilic tried 3 at the back against us but soon reverted. Martinez used it at Wigan and they got relegated. Heaven knows where Sanchez plays. Chas – I agree about the need to attack and defend as a block / to be compact. 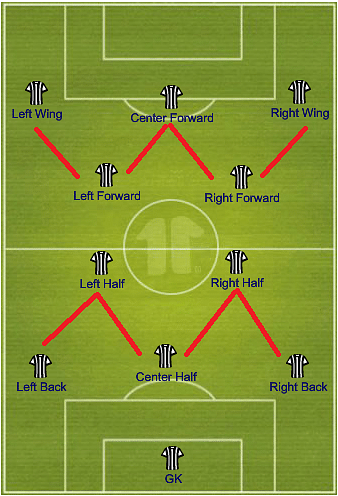 Formations just help players to know where they should hang about BUT this does not mean that they have to be stuck there. You always need 1-2 players to roam around offensively on a regular basis to create the imbalance in the opponent’s defensive line and create the opening. Quality player this Gundogan. He is a bit like Cesc. The best teams don’t stick to a formation. If you are too rigid you can’t accomplish anything meaningful in modern football. The best managers gives his team an idea of what he needs but there must be flexibility. Once you have the right personnel you are good to go. I think the best biggest addition we need now is a prolific striker. One that won’t be wasteful and convert many of the countless chances we create. It’s awful that Ozil ended the season without breaking the Thierry’s assist record. The number of chances he created was sufficient to seethe record broken but our strikers weren’t up to the task. On Gundogan, well, he is a quality player but he’s injured most of the time. I guess the greatest casualty to his arrival would be Yaya Toure. He and Pep have never been the best of friends, so I wasn’t surprised that Ilkay becomes his first signing. I’ve just realised 3-5-1, as in the title, is only 9 players. “The 25-year-old, who will miss Euro 2016 and the start of the new Premier League season through injury, becomes the first signing for incoming City manager Pep Guardiola. Can you imagine the fuss if we’d bought that geezer! I dislocated my kneecap 40 years ago and it’s never been right since. Mind you, I’d imagine he would get slightly better treatment. formation, shmormation. everybody knows that a formation has never scored a goal. Glenn Hoddle thinks the reason that this game is that bad is because every single person watching it did something horrible in a past life. Gorgeous planting by that path, where is it? 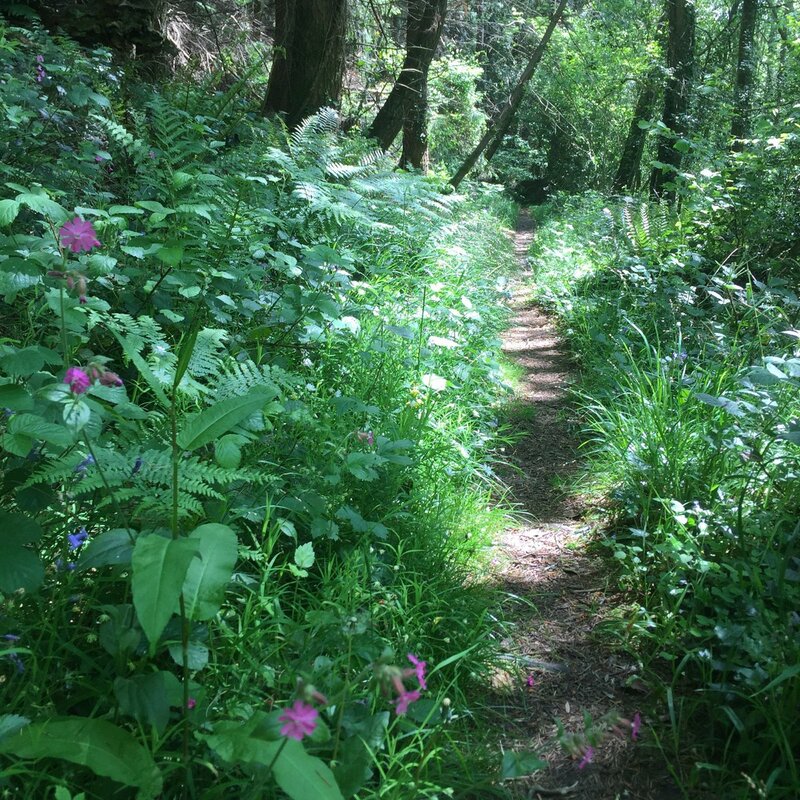 Not planting but natural woodland in Devon apparently. If I’ve got a picture on my phone how do I put it on the blog? Do I have to go via Twitter? Cheers RC. An interesting post for one who adheres to frequent and large quantities of tactical bolleux. I stand by a view I have had for a while which I did a post on some time back. I proposed that the only time the formation really changes is if you start with a back 3 or a back 4. With a traditional back 4 (the most likely for us and also most other teams) then any of these other formations listed will be seen at various times in the game due to the fluidity and constant changing dynamics. What makes a team predominantly seem more one than the other is the qualities and attributes of the individual players in certain areas of the pitch. Their traditional strengths and weaknesses will dictate where and how they start to influence a game and how well balanced and cohesive we look. I also don’t want complete rigidity in our play but similarly I also don’t want freedom of play to spill over into imbalance and, to a degree, chaos. I would be far from certain about your 4-3-1-2 with the players you suggested RC. I feel that Sanchez will often drift towards the left thus taking it away from a traditional front 2. Our right flank could also be exposed as well thus demanding someone, (one of your 3), frequently covers there. All of a sudden we are back to 4-2-3-1 or 4-5-1 or 4-3-3. I like the Bayern 4-2-3-1 with the right players to make this our predominant formation. I tend to feel it morphs into 4-3-3 and 4-5-2 depending on how the play is unfolding. 4-5-1 is more seen when we are without the ball, and one of the other formations when we are with the ball, depending on whether the free roaming Ozil has come deep to get on the ball or is holding a more advanced position. Sanchez from the attacking left is fine with me, as is Ozil in the free roaming attacking central role. We are just lacking the right striker and the a world class attacking right sided option to make the Bayern formation you mentioned in the post, (morphing into 4-3-3 and 4-5-1 at times), work. Campbell is a good 2nd choice from the right for me but not 1st choice at the top level. In your suggested formation RC, with the players you mentioned, it would likely be Ramsey that drifts to the right.I know many like him on the right but I don’t. I like Rambo as a player but he is not a world class option on the right and it would be going over old ground for me. Ramsey as a world class option in an attacking central role is another consideration but this is where Ozil plays. That is where I see Ramsey long term though and for me he has become something of a sticking point for us because I feel he is shoehorned into the side just to get him on the pitch, which often unbalances us. Personally I feel he needs to be viewed as Ozils understudy and eventual successor. That would probably mean more bench time and he may not accept this which is why I read Raddy’s post about him recently with far more interest, and actually thought about it as a serious consideration. Right now I think our squad options and balance in formation would be at a higher level if we had someone like Juan Mata even if we didn’t have Rambo. He would bring more balance that right flank in both defensive cover and be more natural in offence from that side and take it more towards a top class level. 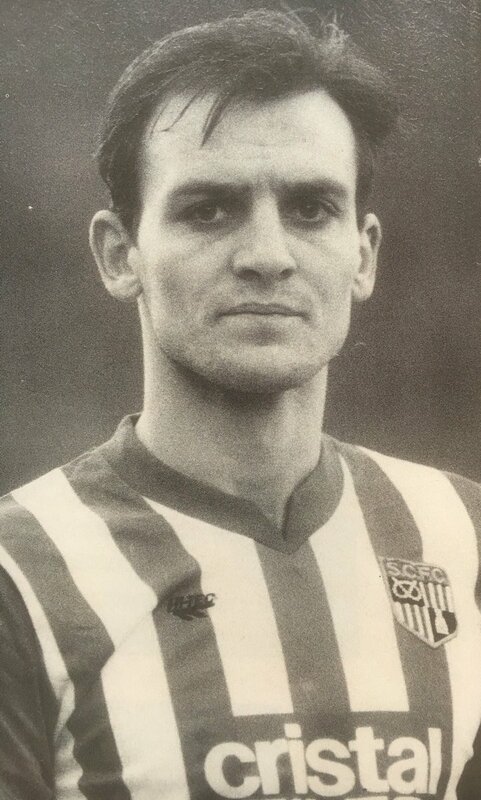 Currently I still feel we need a right sided attacker, preferably but not exclusively a left footer, and I am not sure we have the answer from within the current squad. Jack could be a better option in a deeper 3 because I feel he would be a more natural and stronger option if he had to cover some right flank duties. It is not where he favours playing and maybe it isn’t his best long term position anyway, but as a predominant CM (like Ramsey) he has attributes that make him more adaptable and a stronger option in the wide areas than Ramsey. The more I watch Ramsey the more I think he is limited positionally as a world class player but can still be a world class player in the right position. I still feel there is a danger to our success next season if we don’t get that balanced formation right with the correct players to make it happen. WordPress playing silly buggers, couldn’t post yesterday. GB. That is one fine comment. I actually plagiarised the term shoehorned from your good self. I thought it was an excellent way to describe Arsene’s use of Ramsey at times. I actually feel very similar about Ramsey in a deeper CDM position as well that it is not his best suited role. I still think there is a myth about Ramsey being a great box to box CDM based on this assertion that “he has a great engine”. He looks a goal-scoring number 10 to me. Maybe slightly less on the assists side than Ozil but likely more on the goal-scoring side if he played the position more regularly. What you lose in one sense you gain in another so I am not so sure we would get worse if Rambo played instead of Ozil, just different. I don’t think Rambo is exclusive either in the shoehorning into the side theory. Did anybody else notice AW and DD sitting together at the England game yesterday? The paralytic pastor punched, kicked, bit and spat at a paramedic and pc who found him slumped in a doorway in his clerical clothing. No big surprise here AW is respected at Arsenal and they obviously want him to stay. I believe that he will choose to sign a final 3 year contract. Chief executive Ivan Gazidis says Arsenal are preparing for the “long-term” under Arsene Wenger despite the Frenchman entering the final year of his contract with the club. Despite six FA Cup wins and Champions League qualification during every year of his tenure, Wenger’s relationship with a section of the club’s supporters has become strained over Arsenal’s failure to challenge for the Premier League in recent seasons. They last won the title in 2004 and have failed to reach the quarter-finals of the Champions League since 2010, but Gazidis says the board and the manager are convinced the club is heading in the right direction. “He [Wenger] is in his mid-sixties, it’s natural to think about when his time here might come to an end, but the truth is nobody knows,” Gazidis told the Telegraph. “He is in fantastic shape. He is deeply engaged and excited. One of the biggest challenges we will face is the transition, whenever it happens, but that is not something we are going to be facing imminently. “Obviously, he is going to be managing us next year and we are planning and making many decisions for the long term. “The reality is we wouldn’t leave things until the last minute. I’m comfortable both that if Arsene is going to extend we will know that and if, whenever that is, he is going to come to an end, that he will give us the time that we need to prepare for that transition. “The relationship with Arsene is very deep. It will be done behind closed doors and we will have our transition plans well worked out. “He has always put the long-term health of the club first. He wants to hand over a football club, whenever that it is, that is in great shape. He views that as a massively important part of his legacy. Arsenal finished second last season as Leicester claimed the first top-flight title in the club’s 132- year history. Injuries were once again a thorn in Arsenal’s side last term and the club have begun the process of adding quality to their squad with the signing of highly-rated Swiss midfielder Granit Xhaka in a deal thought to be worth in the region of £30m. “We have to be disappointed, certainly not satisfied, to end up second,” Gazidis said of last season’s campaign. “We wanted more than that and I think that there were chances during the season. We are taking a long, hard, realistic look at why we fell short of our ambitions. You can’t say second place is a disaster, but it’s not what we are about. Why stop at Vardy, let’s completely take the piss and buy Kane. Nooooooooooo. Please NO. His performance for England last night was pathetic because Vardy has no tactical nous. Probably right BR, best stick with Theo………..written with smile on face. Sad to read of the death of one of my (and most people’s) real heroes.